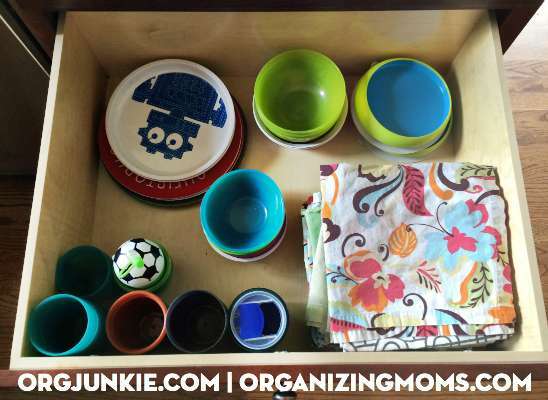 The following is a guest post from regular contributor, Katie at Organizing Moms. Do you have little ones who would like to help out in the kitchen? Are you looking for ways for your children to be more self-sufficient? 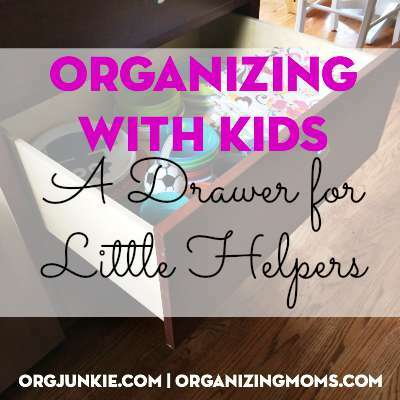 One small way you can do this is to create a helper drawer. Most of our kids cups and plates are of different sizes, and they were difficult to put away with the our regular cups and plates. 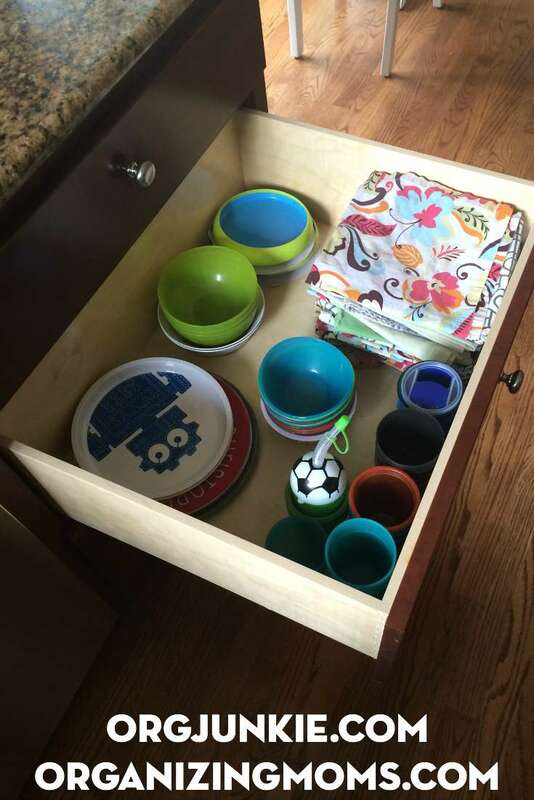 Now that we store all kid things together in one drawer, it’s easier to put the dishes away and find them later. Because the drawer is at their height, our children can get their own cups to make themselves a glass of water. They also help me set the table by setting out our cloth napkins. If the helper drawer starts to look messy, I ask them to organize it. They’ve also started to put away some of their clean dishes in the drawer as a way to help out. As you can see, we don’t worry about having the drawer look perfectly orderly. As long as everything is tucked into the drawer, it works for us. 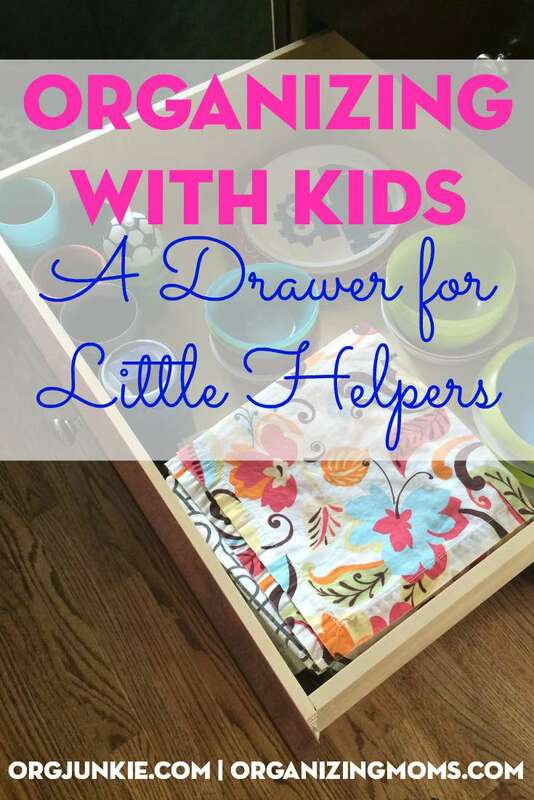 If you don’t have a drawer or cabinet that you can dedicate to helper supplies, you could put together a milk crate, shelf, or box for helper supplies. As long as the kids know where their supplies are, they’ll be able to “help” you out while you’re working in the kitchen. Wipe down the table or countertop (away from the stove) with a damp washcloth. Put napkins and silverware on the table. Make their own glasses of water for dinner. Put condiments on the table. Make paper placemats for our table using printer paper and markers. It’s been fun to see our preschoolers take pride in their kitchen drawer, and they love that they can get themselves a drink of water without my help. Katie is a loving wife and stay-at-home mom to busy twin boys. 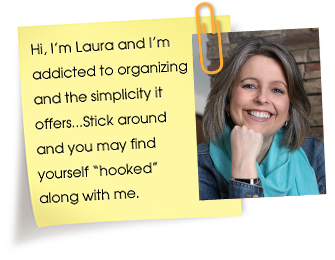 She is passionate about making life at home more manageable through simple organizing solutions. 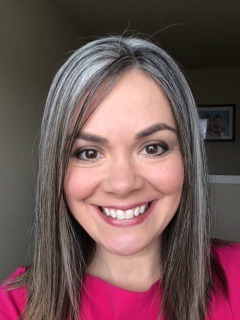 Her love for organizing has spilled over into her popular blog, organizingmoms.com, where she shares realistic organizing solutions for busy moms. In addition to her love for all things organized, she also enjoys traveling, reading, and spending time with her family. *Please note that this post contains affiliate links (however, as always, any and all opinions are genuinely my own – or the author, in the case of posts by guest contributors). Thanks for supporting my site!